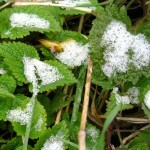 Ice and snow on spring foliage. As we approach the end of March, it is still feeling rather wintry. 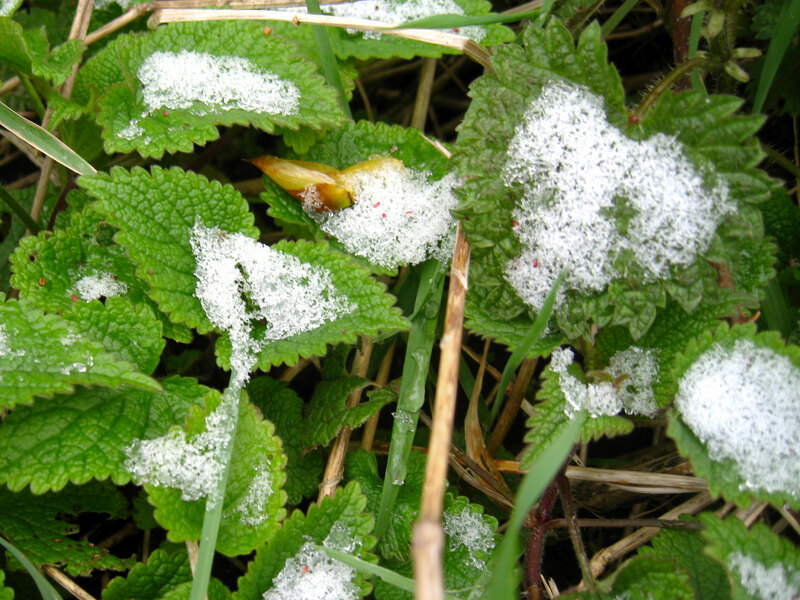 Snow and ice remain on the ground, despite the arrival of spring. With freezing temperatures and more snow predicted, we can only hope for warmer, more season typical temperatures in the coming month. The cold weather has meant that we have not seen too many developments from last month, but if you look carefully, there are certainly a few more signs that spring is on its way. All around the farm, daffodils have come into flower and in the past week we’ve spotted frogspawn on the ponds, despite the freezing temperatures. We are also starting to see a change in bird life as winter migrants such as redwings and fieldfares begin to leave the UK to return further North, and birds who have wintered further South such as chiffchaffs, blackcaps and whitethroats are returning to the UK after a winter spent enjoying the warmer climates of Southern Europe and Africa. For many birds, nest building is well underway, timed for baby birds to hatch as spring brings new foliage and insects (a protein rich, baby bird food). As you walk through the farm, you may notice more birds singing as they defend their territories and spot adult birds of all species carrying nesting materials in their beaks as they construct their nests. The number and variety of birds singing will be increasing over April as more migrant birds return to breed in Britain and we are approaching the best time of year to listen in on this incredible chorus. Join us next month for a May dawn chorus walk to discover more about the birds breeding here at Mudchute (details coming soon). As temperatures rise, keep an eye out for more early spring flowers making their debut, including bluebells towards the end of April and the delicate white flowers of cow parsley. With these flowers come pollinators in the form of butterflies, flies and bees, who will be busy taking advantage of these early flowers on warm days. See more photos of what to watch this April on the next page. 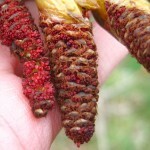 Closup of bright red catkins (male flowers) of the poplar tree. A given poplar tree produces only male or female flowers, making them a dioecious species. 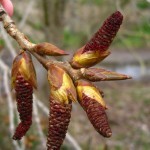 Many trees are now flowering, including the poplar, which has separate male and female trees. 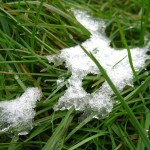 We end March on a chilly note with snow and ice on the ground. 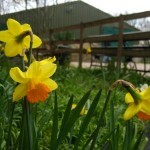 Daffodils are in bloom across the farm. 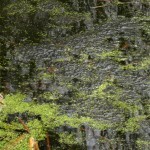 Frogspawn on the ponds, floating in gelatinous clumps. 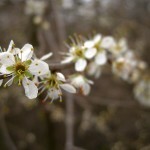 Last month saw the flowering of cherry trees which are now joined by blackthorn. 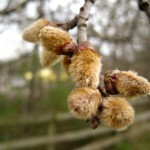 Catkins (male flowers) of a willow.